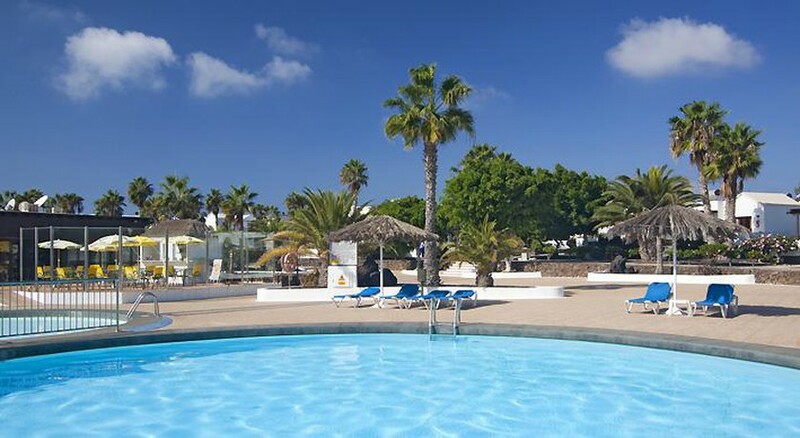 The Bungalows Playa Limones enjoy a fabulous location in Lanzarote, a few metres from the family-friendly Flamingo Beach and just a short walk from the commercial promenade, bustling with shops, cafes, lively bars, restaurants and nightly entertainment. Set amid pretty gardens, this hotel has two fabulous outdoor swimming pools and a kid's pool, a solarium, a children’s playground and fun-loving activities such as mini golf available – great if you’re travelling with the family. Bungalows Playa Limones features cheerful rooms equipped with comfortable amenities and a terrace to relax on. The on-site restaurant offers a buffet-style breakfast and dinner, and guests can choose dishes from the grill menu during the day. 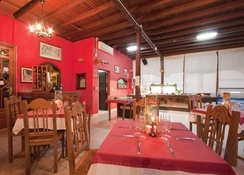 The hotel is located in the south of Lanzarote, Canary Islands, a stone’s throw from the sandy Flamingo Beach. 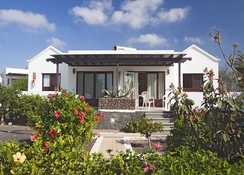 The bungalows are within close proximity to downtown Playa Blanca, the ferry port and the nearest golf course. The nearest bus stop is 5 minutes from the hotel, meaning guests can easily reach other tourist stops across the resort. The Bungalows features well-appointed, colourful 1-bedroom bungalows, fully-equipped with kitchenette (toaster/kettle/cooker/fridge), full bathroom, separate living/dining area, sofa bed, satellite/cable TV, in room safe (local charge). Extra bedding, linen, towels, ironing facility and infant cots available on request. All bungalows enjoy a furnished terrace offering views of the surrounding area. The bungalows are primarily self-catering however the complex's restaurant serves all main meals buffet style offering a fine array of dishes local and international. The café/bar poolside offers snacks and drinks throughout the day. Drinks are available from bar from midday until late. Entertainment is easily found nearby from the resort centre. Bungalows Playa Limones feature two outdoor swimming pools (one of which is heated) and a splash-tastic kids’ pool, sun terraces with loungers and parasols, large mini golf course and pretty gardens. Further sporting amenities/activities are available nearby for rental/hire including sailing, boating, fishing, canoeing, diving, surfing, tennis, golf and watersports. For the kids there are kid’s playground, kids outdoor swimming pool. I went for my birthday and was pleasantly surprised in a last min booking. The resort was tidy and clean. The breakfast was varied and very tasty. The room service was prompt and even folded my pjs! The accommodation was good. Though to be honest it would be fantastic if they had a bit of an upgrade as the decor is quite dated. But it did what it said on the tin and we had all the amenities that we needed. Nice and close to the beach and the pool area was nice and quiet (which we liked). The staff were very helpful when we had a couple of issues with the accommodation. A lightbulb went and it was quickly replaced, and we had a very small plague of ants in the kitchen which was also very quickly sorted out. We had a lovely stay though and would go again. Its basic and dated but actually gives you everything you need for a budget holiday.